2019 - Year 5 in Uganda! After several weeks of intense heat, a refreshing storm brought some much needed rain to Kampala today. At last the fans are off, and we can enjoy a cooler breeze. The first few months of the year are always the hottest. It’s been a while since our last update and we thank you for your patience. We spent the Christmas holidays at home this year – this was easy with three children and the addition of a new kitten! We welcomed “McSquizzie” to the family and she has been so much fun in our eyes – our guard dog on the other hand does not like her. I am still not sure if it is worth taking the risk trying to get them to bond. For now McSquizzie will handle the inside night life and Skye will keep things at bay outside. The cat met her first cockroach recently and proceeded to eat it – I love her more already! January meant back to school for four of us. I am organising a primary musical production this term the students are buzzing with excitement as things are coming together. We have just started our half term break today so looking forward to a week of rest (housework!!) The school day has been extended Tues-Thurs with every student encouraged to participate in enrichment clubs. Matthew is enjoying Swimming, Science club and trying his hand at fencing! Matthew is also beginning to play his bass guitar at church and it’s great to see him confidently using his talent. He is settling into Rainbow and one of his poems was selected for an international school’s poetry competition (COBIS registered schools). Homework is still his least favourite thing in the world. Abigail is involved in the secondary production called “Willow Blue”. The school has hired the national theatre in Kampala for this one and it will take place at the end of March. Abi’s after school clubs revolve around rehearsals and art club, while finding the time to prepare for her Grade 4 piano. On a more serious note, a lump above her knee was investigated in December and found to be a benign tumour called an osteochondroma. It was a nerve wracking few days of waiting to find out the results. It is an extra growth that is spiking off her femur bone and is giving her pain, especially in PE. She is scheduled to get it removed next Tuesday 19th and we would appreciate your prayers. We are blessed to have a good hospital in Kampala that specialised in bone problems. It is about an hours drive and she will stay overnight on the 18th. It is still very Ugandan in that there is no information to prepare any of us, no details of what to take into hospital here – it is not uncommon to have to take bed sheets and blankets. So we will find out and I am sure the experience will shape us both. Eilidh participates in two after school clubs – brownies and craft club. She enjoys socialising very much and had her first sleep over at a friend’s house in the new year. She lost a front tooth the other week so is still getting used to that cute gap. Swimming is still her favourite activity and she loves to tell us how much she loves home work (all the while enjoying a little dig at her brother!) Eilidh adores the kitten and is never far from it – not sure the kitten is always so enthusiastic with the cuddles. She hasn’t tried to dress it up and put in in her pram yet but I think that day will come. Andy has had an busy few months painting one of the aeroplanes in the hanger. I believe the project should be finishing in the next month. He is really enjoying the painting however trying to paint in such a hot dusty environment has it’s challenges. The heat he has to endure in a paint suit all day and helmet, not to mention the frustration when things, including insects upset the smooth wet paint that just needs to dry. He is taking a few days off holiday next week so we will enjoy some family time while Abi is recovering from surgery. The MAF International and UK HR team were here in Uganda over the last few weeks and it was great to see some of them. Thanks so much to those who sent Christmas cards – we received them at the end of January but it’s never too late as every year we put up any cards we have and read them all again year after year (they remind us of you all and home) so we will be putting them up next Christmas. We have also enjoyed a meal with a few Scottish visitors this term who are based in the Kilmarnock area. I started this blog on Saturday and here we are on Tuesday the 19th and I am getting around to finishing it. Abi has just gone in to surgery so now I will keep myself busy and finish this blog before my laptop battery dies! We were unsure of who the surgeon would be and I am so thankful that the original Italian doctor who saw her in December is the one operating today. They will remove the mass and send it to Cincinnati for biopsy in the USA to check that everything is all benign. I am so thankful that we can receive this level of care here in Uganda. Medical diagnosis can be very unreliable in Kampala for people who do not have much money. Emmanuel, who works for us (He is like a member of our family) approached us with a concern for his 4 year old son. He had a swelling and after two different medical clinics and an ultra sound, everything was still unclear for them. Doctors were saying it was a hernia, however this did not add up with the ultra sound report. I took them to the expat clinic that we go to yesterday morning and we got a clear diagnosis of a hydrocele. This is not nearly as serious as a hernia and can be operated on when he is a bit bigger. Thanking God they now have a clear diagnosis and can move forward from there but it is sad there are so many rouge clinics just looking to make money. Then in the afternoon I drove Abi here to Corsu Hospital so it was a busy day! I will keep you all posted on the outcome when we receive it. Thanks for keeping us in your thoughts and prayers, especially for Abi and Emmanuel's son Micheal. When we were returning to Uganda after Furlough 2018, I wondered if we would have any visitors this year. There was no one planning on coming out to visit and and so we decided to move Eilidh out of her bed which was "the guest bedroom" and let Abi have the room. I just happened to get talking to another leader at Soul Survivor, Lendrick Muir in July. His son Lewis, was volunteering in Uganda and would be coming soon to Kampala. Within a few weeks of arriving back in Uganda we had our first surprise guest. Lewis stayed a week and we had a great time what it was like to study medicine. Abi was particularly interested - who knows where that might lead! Lewis volunteered in Mulago hospital and we also managed to squeeze him on a MAF flight. Soon after Lewis left, I received an email from a Scottish family who were volunteering in Uganda for a year with the Kitega centre a few hours on the bus from our house. They had been in the country a few months and have three children similar ages to ours. Someone had passed on our email and so we hosted the Ramsay family for a weekend. The children had been eating local food for a few months and were even attending a local Ugandan school for a few days a week. and homeschooled the rest. They were delighted to meet other Scottish children and get their fix of "British style" food and plenty of raspberry jam :0). Having never met the Ramsay family before it was great to build new friendships with them and they have already been back again for another weekend since. We hope to go on holiday for a few days outside Kampala in the October holiday's together. We hosted two other families with three children and I am blown away when I think about how I wondered if we would have any visitors this year! It has been so nice to meet so many new people in the last few months and provide a meal or accommodation. I have always wanted our house here in Uganda to be a place people can rest up, get refreshed and continue the amazing work so many of them are doing all over Africa. In these last months God has provided a friend or at least a new pen pal for each of our children as well as us. Work at Rainbow School started again for me late August. I am settling back in well and am so pleased to now be four days a week. All is well after the surgery in March however I notice I am more easily tired at the moment. After two days of work I can barely keep awake so a Wednesday at home is a welcome gap in the week. This is the first time in 11 years I actually have a regular day off at home with no children (till 3pm!). I also turned 39 in September - hanging onto my thirties by a thread now. Andy turned 41 yesterday and unfortunately was a little under the weather. He is on the mend now. Abigail just had a school outdoor learning trip for three days to a tribal cultural centre with the rest of her year group. She managed to put our tent up and take it down by herself and had a super time learning how they make pottery, beer with bananas and other traditional practices. This year school seems to be going much better and she has developed a good friendship with an Indian girl whose little brother is also in Matthew's class. Abi is excelling at school in the top groups (as usual!) and is excited to be part of an international school club called "Tournament of the minds". Teams from other schools around Kampala will compete in December. I believe they have to create a 20 minute musical incorporating a given criteria with the theme being "Freedom". She is also part of the school production which will take place in February. Abi will be 12 years old next week and so we are gearing up for a girls sleepover party this weekend and I am going to try my hand at an oreo ice-cream cake - lets hope the weather is a bit cooler on Saturday! Matthew had gone through the biggest change of all of us. He has now left Heritage and joined the rest of us at Rainbow. We have had a rough few weeks of "exploding emotions" as he has dealt with all the changes - he finds change very challenging. Friendships are progressing slowly however most of the boys in his class play football at break and lunch where as Matthew does not. He has enjoyed playing chess with a few students and is reading avidly at the moment which is always a bonus. His class are studying fascinating forces at present which he is really enjoying and he has an assignment on the Wright brothers to complete - right up his street with its links to aviation! He is settling well all things considered and I am enjoying having him around the primary department to with myself and Eilidh. Eilidh is continuing to be the happiest child ever! She just gets on with life. She enjoys school and has made many friends. She is a great swimmer and has also joined an after school swim club. We are trying to keep her blonde hair from turning green with the chlorine and the sun - She is the only blonde haired child in Key Stage 1 (about 90 students). She continues to love music and is desperate for me to teach her piano. I'm doing my best to teach her violin at the moment - as long as I can stay ahead of her we should be fine! Things are busy, as usual, in the hangar. Andy's work is a good mix of routine maintenance and bigger project work. Shortly after getting back he had the job of repainting the red paint on 5X-SCO (Scotty). The strong African sun beating down on the planes is particularly hard on red paint, and so he worked hard to get the red paint cleaned, scuffed, and masked off, then went in one Saturday morning to spray some paint! The plane was looking great, and has now left Uganda to be based for a while in the MAF Liberia programme. The plane that has been there since MAF Liberia began will soon be joining us in Uganda. 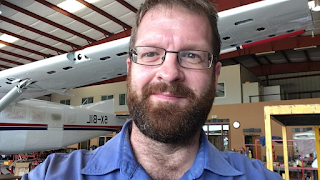 He is due to go to USA at the end of october for a training course, and when he returns he will be getting straight into his biggest paint job yet - a Cessna Caravan! 5X-BIL is our oldest Caravan, and is looking quite tired. It will come into the hangar at the start of November and stay there for 3 months while we strip all the paint off, do a mini version of the avionics upgrade we have done on our other planes, and repaint her in the MAF colours! Lots of hard work, but very satisfying! Joyce and Emmanuel are doing well. They took great care of the house and garden when we were gone. I came home to bags and bags of frozen raspberries. We have been busy making lots of jam and continue to sell it around Kampala. Please continue to pray for Matthew, that he would make some good friends at his new school. Please pray for our church also as we do not have a full time pastor at the moment. It has been great to lead worship there twice since we have been back. Abi often helps me and I'm sure Matthew will be joining on bass guitar sometime in the near future! Well the children are due home from school in ten minutes so I had better go and get ready for them. Thanks for your continued prayers and support. Since the plane touched down last Sunday morning we have been getting organised. Staying in our own house for our first furlough in seven years is a dream come true! Since arriving back we have been trying to catch up on sleep with three very early risers in the house as well as get on top of the huge "to do" list. So far the school shoes/trainers/sandals, trousers and skirts for the next year are bought along with other essentials for the kids as they grow! The first of many appointments (eyes, dentist, orthodontist... the list goes on!) have started and are set to continue throughout July. Andy and his two able helpers (;0) are giving the first MAF presentation of our furlough right now at Holyrood Evangelical church in Edinburgh. The last few days have been dry and sunny and we were able to enjoy a lovely family day out at the Royal Highland Show thanks to a dear friend. The kids were able to get reacquainted with the hedgehog and badger as well as highland cows, Clydesdale horses, birds of prey and all sorts of other wonderful wildlife around the country that they rarely see. The food tasters were also a huge highlight of course, and after a year of barely tasting/seeing strawberries the children just couldn't get enough! Our dates are set now for the different locations we hope to be. Please look at the list below and come to whatever one is nearest. We would love to catch up. Our supporters mean the world to us and we can not tell you enough how much we value your prayers and financial support to allow MAF to continue their work through us in Uganda. The presentations this year are aimed at new people who may not have heard much about the work of MAF so it is a great opportunity to invite a friend or neighbour with any interest in aviation or mission, or even finding out about Uganda. Children are very welcome and we have lots of MAF resources to keep kids busy. Andy, Heather, Abi, Matthew and Eilidh. Please note - these are not our what's app numbers - we use our Ugandan phone numbers for whats app. 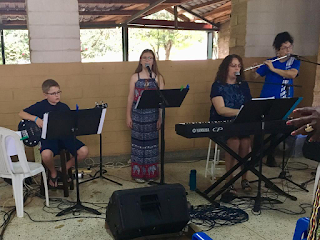 In previous years, our summer visits back home have usually involved lots of catching up with family, friends and supporters one-to-one, as well as giving short updates in the 3 churches who we have close relationships with. This summer marks 8 years since we packed up our home in Tummel Bridge, and made the first steps towards starting our training in Ohio, then on to work in Uganda. We felt this was as good a time as any to take a little bit longer to share about the organisation we work with, the sort of work we are doing here in Uganda, and how MAF are involved in a huge variety of work, impacting so many people in this part of the world. We would love to see as many of you as possible while we are back, and so we have been busy preparing for evening ‘get-togethers’ in the four corners of the land! If you can make it to any of these dates, it would be great to see you, and if you need a bit of inspiration to come along, here is a little taster video I have put together to give you an idea of what you can expect!! Watch this space for more details as we get closer to our migration north! Four weeks ago I had the required surgery and, after my post op consultation this morning everything is healing well and and I will return to Uganda on Monday 2nd of April to be with my family again after almost 7 weeks of being apart. I can't tell you how thankful I am to the many many people who have prayed for us and supported us in MANY ways through this time. We have watched God's provision, faithfulness, blessing and encouragement in action in ways only he could orchestrate and I am so humbled that he would move those mountains for our family in such a short time. Special thanks to my mum who has looked after me after surgery :0) I just can't wait to hang out with my kids for the last week of the Easter holidays and get to be there for Matthew's birthday in a few weeks. I will continue recovery in Uganda and then the whole family will travel back to Scotland middle of June through July for furlough and some holiday time. The last week or so has been a bit of a whirlwind with doctors appointments and the like. It was great to get a clear diagnosis and now we have been looking at the way forward as a family. Due to the nature of waiting lists with the NHS it could be closer to July/August for needed surgery and while we can appreciate that if we all lived in Scotland the waiting for consultation, pre-op and surgery and post op appointments could be manageable - Uganda is our home at present. Taking this into account as well as the emotional strain on being separated for long periods of time we have decided to go private and I am booked to have the operation tomorrow (Tuesday) afternoon at Ross Hall. All being well I will be out on Thursday or Friday and the recovery process can begin. Again, all being well I will be able to fly back to Uganda at some point before the summer and be with my family again before we return for furlough in June. I am so thankful to God for the support network he has put around us both in the UK and Uganda that have made all of this possible in such a short time! Thanks to all of you for your cards and messages/texts/visits as well as practical support. Andy and the kids are doing well though I am sure Andy is tired! Eilidh (age 5) has no concept of when I am coming back and asked me tonight via face-time if I could bring her back some honey for her cough and cold. Sweet and tough at the same time. Well I'm off to get some sleep so I can be up early to eat breakfast before my "8.30am no food or drink" cut off time. Not sure when the next blog post will be from me but so far - two posts in two weeks- must be a record for the Swanson's! God bless what ever country you are reading this in. I hope you all had a lovely Christmas and New Year. We enjoyed a trip to Scotland over the Christmas break and the kids got to experience lots of snow in the two weeks we were there. We returned to Kampala beginning of January and were soon getting into the swing of life again. Andy was preparing for a trip to Mongolia for over two weeks, the children were back in school, and I continued to plough through the busiest academic year of teaching so far. 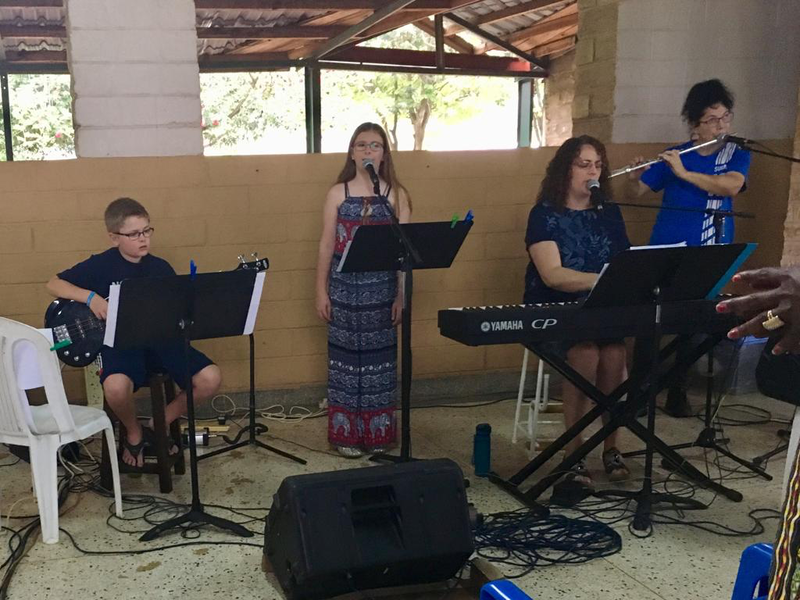 Last August I started a new job in Kampala teaching primary music at a much larger International school. The students are predominantly African and a huge mix of other countries. The school is being inspected in May by a UK organisation so the paper work has been intense. In my first two terms of arriving I have had to write a brand new curriculum for seven year groups documenting weekly lesson plans for the entire academic year. Add to this writing the 3 year development plan and music policy and assessment strategies and department reviews and you can begin to see that my evenings after teaching all day have been pretty busy meeting the paperwork deadlines as well as trying to learn the names of 260 students and many many staff! Towards the end of January, Andy left Uganda's hot dry season of 30 degrees C and made is way to Mongolia (more like -30 degrees) to work on an avionics upgrade that needed to happen to the MAF plane there. When Andy is away I usually just pray that the car doesn't get a flat tyre etc as things like that tend to happen when one of us is at the other side of the world. In the second week Andy was gone I was stopped by a random Kampala police lady - apparently my car insurance had expired May 2017! How had we let that happen?! Miraculously she forgave me and let me go (Insurance is now up to date). That was the Sunday, On the Monday Eilidh lost her first tooth....awesome! And then the lemon was thrown! Monday night things didn't feel right in my body and I began to bide my time till I could call the doctors on Tuesday morning. Needless to say I did not sleep well and I got up at 6.30am to get the kids ready for school. While she was getting dressed Abi found a snake in her room - yes it was a harmless blind snake....but a snake! I managed to get it into a tub with a broom while courageously screaming the whole time. Thankfully (sorry to snake lovers) I caused it some damage with the broom and it no longer moved and the threat was gone. Meanwhile the five year old was a little upset that the tooth fairy had forgotten to leave money for her very first tooth - I was a little pre-occupied! At last off to school and then I could concentrate on the doctor phone call and appointment. The doctor was fabulous, however my situation was not and it was going to involve urgent return to the UK to see a specialist and start the process for surgery. I was signed off work for pretty much the rest of the academic year and the days began to take on a different format. There were so many logistics to discuss with Andy (from Mongolia) over patchy internet signals, there was planning to finish for my job, discussions with MAF, Insurance companies, not to mention the emotional upheaval - am I really having to leave my family for possibly three months??? I know who I am..I'm walking in power...etc." My heart was smiling - here in a secular school, God is reminding me that he is in control, my identity is with him - through the voice of a little 5 year old. It was a "golden nugget" moment. So the next chapter begins! Andy returned from Mongolia, we spent some time together (a day!) and then I left for the Scotland. Since then I have had a GP appointment, and I met with a specialist privately to give me an idea of what time frame, surgery etc we are looking at. I need a hysterectomy and pelvic floor repair surgery. As it is not a life threatening condition there is no hurry through the NHS. It is up to 12 weeks waiting list to see the consultant and then a further 10 - 12 weeks waiting list for the surgery. I can't begin to process the logistics or implications for our family situation at present but this is where we are here and now. Please pray for wisdom between MAF and our family as we plan the next steps. I guess I need to look on it as a surprise sabbatical. I just need a piano from somewhere - please let me know if anyone has a full size weighted keyboard that would like to come and reside in Moodiesburn or Lenzie for a while? - that might just keep me sane!lol. Please continue to pray especially for the kids and Andy in Uganda and for healing and speedy surgery this side of the world too. Life is full of surprises along the way - some good some bad. As a friend posted on face book recently - "when life throws you a lemon.............make lemonade!" Trying to keep a positive attitude - prayers appreciated! Sign up here to receive our quarterly family newsletter! Andy grew up in Scotland and, at 17 years old, made a commitment to serve Christ. After school, he joined the Merchant Navy. 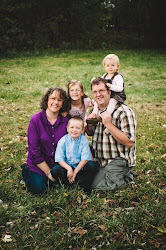 We married in 2003 and, for the last six years, Heather has focused on running our home and raising our 3 children. She used to lead worship at our home church in Pitlochry. Andy felt called to serve with MAF. He has just completed training as an aircraft maintenance engineer with Missionary Maintenance Services in Ohio, USA. We will soon start our service with MAF in Uganda. We are looking for people committed to supporting us prayerfully, financially, or both. Could you be one of them? Want to hear the latest stories from MAF?